Russell, Helen. The Year of Living Danishly: Uncovering the Secrets of the World’s Happiest Country. London: Icon Books, 2015. Hygge. Danish for something cozy, charming, or special. It is also the art of creating intimacy. Author Helen Russell explores how hygge might be one of the secrets of Denmark’s perennial position in the top ranks of the happiest countries. To understand her experience, over a year-long journey of living in Denmark, she shares many funny anecdotes of her daily life, and she uses her journalistic skills to meet and interview Danish experts in the many aspects of daily life that she explores. She uncovers widespread attention to the environment one creates in one’s home, to being comfortable on one’s own, to being honest with and supportive of others, to respecting and supporting the many contributions people can make to society, to the creative process and getting feedback about what one is learning, and to celebrating the creativity that is everywhere, if one looks. In ecosynomics terms, these are co-hosting the five primary relationships. The global Agreements Health Check survey (from 124 countries) shows that as people get better at co-hosting the five primary relationships, they experience greater vibrancy, more hygge. I highly recommend this fun, well written discovery of the secrets of living vibrantly every day, even where it is very cold. Acuña, Francisco, Guillermo Cedeño, Ramon Sanchez, Leith Sharp, John Spengler, and James Ritchie-Dunham. “Energy Innovation Ecosystems in Rural Mexico.” ReVista: Harvard Review of Latin America XVIII, no. 1 (2018): 108-09. This recently published article describes a very vibrant initiative, bringing innovative energy ecosystems to rural Mexico. To understand the wild success of the initiative, the Institute for Strategic Clarity was invited to use the Agreements Evidence Mapping tool to understand what happened. In essence (see figure below), by connecting (1) the low perceived value and social impact rural universities with (2) the moderate perceived value and social impact of the rural communities, (3) the academic knowledge and global network of Harvard, with (4) financial capital, they were able to generate a high perceived value and social impact energy innovation ecosystem. Initially the rural universities are resource poor, providing theoretical, technical education with low practical social impact because of underemployment of graduates, locally. Initially the indigenous communities are rich in social capital, and poor in the financial and intellectual capital to exploit their wealth in natural capital. The Harvard Applied Leadership in Renewable Energies Program engaged rural universities and local indigenous communities throughout Mexico, where 286 university professors and researchers proposed innovation ecosystems for 93 renewable energy and energy efficiency projects that were developed and funded (e.g., wind in Oaxaca and biodiesel in Sinaloa). A documentary and casebook detail the whole project, and the subsequent social and economic potential impact of these projects, including 953.3 MW of wind energy, 512 MW of installed capacity of photovoltaic energy, 1.36 MW of biomass electricity, 40 million liters of ethanol/year, 7.2 million liters of biodiesel/year and 9 million liters of bio-jet fuel/year. This program proved that shifting away from centralized-only thinking with low ROIC, for high-impact, economically-resilient, national renewable energy and energy efficiency projects in Mexico, think massively local innovation ecosystems with a much higher, more resilient, and more equitable ROIC. This model of social innovation is particularly relevant in the multitude of countries facing rapid rural-to-urban migration in part because of investment inequities. The project leaders are meeting now with Mexico’s ministers of economy and social development to replicate this. Acknowledgements. This project includes dozens of rural, indigenous communities in Mexico, over 100 rural Mexican universities with 286 of their faculty, the Mexican Secretariat of Energy, global investors led by InTrust Global Investments LLC, and the Center for Health and the Global Environment in the T.H. Chan School of Public Health at Harvard University. People continuously develop amazing technical innovations: urban agriculture; CRISPR; drones, blockchain; electric cars; work on Mars; language translation. On all fronts, technology is bringing more abundant solutions. On a scale of 1 to 10, these technical innovations are 10s. People also continuously come up with social innovations: crowdsourcing; online platforms; sociocracy; hubs;; sacred hospitality; innovation labs; global action networks. People are experimenting everywhere with ways to interact more abundantly. On a scale of 1 to 10, these social innovations are 10s. While these technical innovations and these social innovations are 10s, bringing 10X impacts to the problems they address, they are small compared to the 1,000,000X solutions people are finding when they combine the two: technical and social innovations. Something very interesting is happening in this space where people are coupling technical and social innovation. As part of the Global Initiative to Map Ecosynomic Deviance and Impact Resilience, we are very exited about these coupled innovations, finding more of them, and learning with them about what they are doing. Here are four cases we have found. Innovation Ecosystems in Mexican Renewable Energies and Energy Efficiency. Technical innovations in energy and finance. Social innovations in connecting innovation ecosystems. Equitable engagement of the natural and social capital of rural indigenous communities in Mexico with global financial, social, and environmental metrics, and intellectual capital leads to: (1) large-scale carbon emission reduction through renewable energy and energy efficiency; (2) equitable access to energy efficiency and renewable energy; and (3) locally generated economic wealth. See the documentary of this initiative that engaged 286 university professors and researchers from rural universities and local indigenous communities throughout Mexico, leading to 93 renewable energy and energy efficiency projects. Fostering Local Wellbeing in South Africa. Technical innovations in complementary currencies and youth video documentaries. Social innovations in building local capacity to develop an evolving collective narrative through youth ambassadors and videography, coupled with locally controlled complementary currencies to fund local wellbeing. A two-year long, University of Cape Town African Climate and Development Initiative (ACDI) research project that took place in two South African municipalities – the Greater Kokstad Municipality in KwaZuluNatal, and the Bergrivier Municipality in the Western Cape, from August 2014 – September 2016. The project engaged out-of-work, out-of-school local youth – the FLOW Ambassadors – to build both individual and community capacity to thrive and innovate in the face of the growing challenges of climate change, resource depletion and inequality. See many of the videos describing this journey in two townships. Global Anti-Corruption Coalition. Technical innovations in measuring corruption and in national anti-corruption, pro-transparency policies. Social innovations in interweaving global policy and attention with local action, across 120 countries, giving a voice to the people seeing corruption and to those affected by corruption. Fighting corruption around the world since 1993. “We’ve fought to put in place binding global conventions against corruption. We’ve held governments and companies to account, exposing the corrupt and dodgy deals (saving more than US$2 billion in the Czech Republic alone). We’ve helped hundreds of thousands of people to take a stand” (https://www.transparency.org/impact). See an Impact Report describing many examples of how people are changing the global discourse and outcomes around corruption, one place at a time. Portable Solar-Powered Stoves. Technical innovations in light-weight, solar-powered cookers. Social innovations in giving free-energy, portable cooking to the global poor, in dozens of countries. Saving lives from indoor toxic smoke from stoves with solar-powered, portable stoves that cost nothing in fuel to run. See videos about the innovations. Four examples of massively impactful interventions, coupling technical and social innovations to have a much larger impact, orders of magnitude larger. These technical-AND-social innovators are discovering that either innovation alone–only technical or only social–is not enough. Coming up with a great technical innovation that stays within the previous social form tends to have only local and limited success in transformative impact resilience. Likewise, a social innovation in how people interact with the same technology also tends towards the 10X impacts: far less than the impact resilience available when there is an innovation in the what, who, how, why, when, and where–in the technical and the social dimensions. Innovations where 10X x 10X can equal 1,000,000X. Inspired to design a prototype of an abundance-based, virtual, learning environment, a question came to me. How could I expand the opportunities to nourish and grow the potential of the Vibrancy community through building capacity and understanding? The exploration went from an inventory of knowledge to a pre-design of what would be inside multiple levels of understanding. But, that did not seem like it was enough. More questions emerged about how to design similar environments for other abundance-based. The exploration went from a possibility to a probability when the UMA (Universidad del Medio Ambiente in Valle de Bravo, Mexico) opened the door to hold this program within the university’s virtual platform. So, in that moment the support of a university that had both a very well designed virtual platform and a beautiful campus that could support this prototype came into the picture. So, what happened? The next question arose: How to build a virtual learning environment that could nourish the space for building deep understanding of what it means to co-host transformations? And, to be more ambitious, how could that be scaled in a relatively easy way in a second iteration? We did not really know if this would interest people, although an attractive feature for the potential participants was that at the end they would receive a diploma from the UMA and the certification from the Vibrancy community. The design is a journey of six months with a deep focus on experience and application to real cases. Half of the 110 hours required the participants to make applications, reflections, exercises and integration of learnings in documents. Six months seems to be a fair amount of time to build up maturity of knowledge, and give the opportunity to implement and apply tools and exercises in real case studies with real communities. Seeing this as a possibility for scaling globally, I decided to launch it in a mostly virtual format. And then more and more questions arose; questions around how to build understanding about the what, how and when of the application of the tools and methodologies. But that was a dispassionate purpose for me, and I felt that there was not real aligned with the intention of the first question I was asking. So, I kept on asking myself what was the specific purpose for this prototype. And then, it came to me: the purpose was “to be at the service of each participant to become more of who they really are.” That purpose holds the first intention, for me, unleashing the potential of the Vibrancy community in its ability to unleash the potential of humanity, unleashing each person’s potential for holding the abundance framework every time they choose. In that moment, I knew everything was ready and in place for this to happen because I saw something I could dearly commit to. So far I can see two very different sets of learnings: one about the design phase to manifest the program; and the second about the first two months of the journey. Sit in the question to clarify the different levels of the purpose. 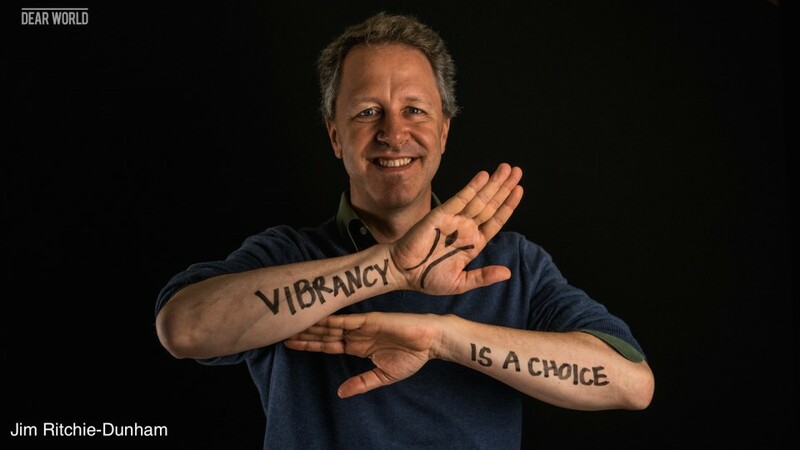 I went from the purpose of how to expand the capacity of the Vibrancy community to the purpose of being at the service of each participant’s potential. Each purpose is perfectly fine for the level they were thought of, one was at the level of a global question and the other was at the level of the specific design of the prototype. Both are important and both are relevant for the conversations that are already happening and the ones that will be happening for the exploration of the next expression of this prototype. Be conscious of the endless journey through the O Process. Going from the purpose to possibilities and probabilities felt different when I was moving more and more into the concrete expression for a specific prototype. I knew that the more detailed levels of the purpose are invoking a bigger gesture for the bigger question and that made me hold the purpose with a different awareness. Be very clear about the invitation. This was an invitation to explore this journey together. All participants in the journey know that it is the first one in this format and completely in Spanish. They also know that the invitation requires several hours of self-study, application and reflection besides the virtual and face to face session. Be conscious of what you are invoking and invite each participant to do the same. Do not be afraid to share the deeper purpose! Use the sense of harmony, intensively. The design of each session calls for a very active listening from me, with all my senses, and being able to design each session with what is emerging. Do not misunderstand me. I have a lot of clarity about the purpose and about what they need to learn, but I have discovered and learned how to flow with the rhythm of the group to introduce concepts, exercises and challenges at the pace they can take on, depending on what they are sharing in their individual assignments. Hold us all as Homo lumens. I can see each one of them as Homo lumens with enormous potential. I am amazed with the group and who they are. And, I see myself as someone who can hold the space for them to explore their own potential. Live it as a constant prototype. The space is co-designed, co-built, and co-hosted together. This has happened in two levels: 1) with others that want to be in the conversation of how to explore environments for building understanding; and 2) using the sense of harmony I shared before. Design the assignments as a key for the virtual space. I have spent a lot of time imagining the kind of experience I would like them to have between sessions and what kind of assignment would be just enough to stretch them a little bit each time. I am the vehicle designing the underlying structure, the participants are taking up the heavy lifting, through their will, into the doing. One of the participants shared that they needed to do an exercise of honesty with themselves to really get into the assignments, and that is not easy sometimes. So far, the journey has been delightful. We have been together for 14 hours in virtual sessions, and I am impressed with the pace of the group. Some of them are getting to very deep reflections that we never saw before in such a short time. Some of them are already venturing into actively working with specific tools and methods in different groups. We are all already looking forward to being together in person at the end of the six months. There is already a feeling of being close to each other. At the end, they will write up case studies and they will synthetize what they have learned in their applications, and I am curious to see how this will happen. You can enter into a little piece of the concrete prototype design through the PDF presentation, where you can find the timeline and the sharing of some of the reflections the participants are having together. I will be sharing more reflections about the journey along the way, so stay tuned. This blog highlights insights from research into the agreements of transformation. This research with 22 people across 18 countries on 3 continents was supported by the Institute for Strategic Clarity and the UBA, the German Environmental Protection Agency. Individuals and groups in different cultures face situations of change in fundamental agreements on a daily basis, addressing complex and large-scale social issues, as well as daily dysfunctional interactions. We wanted to understand and describe why people respond to these issues by taking on societal-scale transformations, and how they do it. A team of interviewers at the Institute for Strategic Clarity invited 22 professionals from around the globe who met a diverse set of criteria to be interviewed for and engage in this research project. The team, led by Christoph Hinske, engaged 22 practitioners in a 60-minute, semi-structured, dialog-based, expert interview. The interviews were then analyzed with narrative-based agreements evidence map to find agreements in a simple but robust way in the practices, structures and processes described during the interviews. The interviewees indicated that they achieved transformation by starting with an assumption of abundance of resources, creating experiences of higher vibrancy, and organizing in a way that they achieved greater harmony in their interactions with others. Many of you who follow this blog lead groups of people taking on deeper levels of collaboration, working through the challenges of experiencing a deeper harmonic while embracing ever-more challenging issues. We know that this harmonic reflects the behavior of a group, and who we are being as leaders. While we talk a lot about this harmonic in our community, I realized that I have direct access to a couple of people who know a lot about generating a harmonic, in music. Having the fortune to experience great amounts of music in my home, created most often by my daughter and son, I was talking with my son Conor this past week about the art and science of generating a harmonic in one’s own music, and what it takes to generate the enlivening experience of a harmonic in music with any audience. Conor shares his experience in inviting the co-hosting of a harmonic in the rest of this blogpost. In preparation for a performance, it is the artist’s responsibility to generate a space for the harmonic. We cannot create a harmonic, just as we cannot make someone love us. But we can create the conditions in which that harmonic has ample opportunity to arise. In hosting a dinner party, for example, we cannot simply tell our guests to have a good time. We must learn from our past positive dinner-party experiences, replicate those conditions, pay close attention to how the experience goes, and learn from there. In seeking a good experience for our guests, we hope to generate an environment where they have ample opportunity to feel comfortable, satisfied, entertained and included in a sense of companionship. We wish for our audience to be satisfied: Having a performance of appropriate length so that it is long enough that they feel the event was worth their money, yet short enough so as not to bore. Ordering the songs so that there is enough dynamic and emotional variance throughout the performance to keep it interesting. Proper attention paid to the sound equipment and acoustics of the space so that sound quality complements the performance. We wish for our audience to be entertained: That the music itself is of quality, the performances are impressive, authentic, passionate and tell a story, and that any other factors of the performance such as light show, scenery or choreography do their part to aide the emotional effect of the performances. We also wish for our audience to feel included in a sense of companionship. Concerts of certain styles are often self selecting in the type of person they attract, but it is the co-host and artist’s job to make them feel welcome. Personal, authentic interaction with the audience, which shows leadership and command, yet gratitude and humbleness is a must. With experience, the performer, like the co-host, can learn to consistently generate and maintain an environment where a powerful harmonic can thrive, and where it can continue to live in the hearts of those who experienced it long after the final dish is served and the final note is played. In order to co-host a harmonic, I have learned that I must first authentically feel that harmonic within myself. As a performer, I find it helpful to solidify a pre-show routine that will reliably foster that harmonic in me. After a full-body stretch and a vocal warm-up, I go to a dark corner, close my eyes, and meditate, focusing on releasing nervous energy and connecting to my emotional core. I know the performance begins the moment I step on stage. So these preparations allow me to set the atmosphere of the performance before I even begin the first song. When performing with others, I will extend this pre-show routine to include them. After I have fostered the harmonic in myself, I will bring it to them, perhaps by holding hands and saying a blessing, cheer, or singing a song. When we are connected and ready, we can step on stage and bring that harmonic to the audience. In this 4th of a series of 4 blogposts, we share what we are learning, as co-investors with BUILD UPON and the European Climate Foundation, about: (1) co-hosting collaboration; (2) realizing the deeper shared purpose; (3) measuring impact resilience; and (4) scaling impact. In BUILD UPON, we are working regionally, as Europe, across 28 member states, and within each member state. We have spent the last two years working with thousands of stakeholder groups who influence the building renovation, renewable energy, and energy efficiency industries, across geographic, economic, political, cultural, and social diversities. To scale the impact of all of this local, national, and regional work, we saw that six steps were necessary. Second, we need to gather the people together, around this deeper shared purpose. People who are committed to shifting the economic, environmental, health, and social impacts of energy and buildings in Europe. We have a critical mass of those people engaged in BUILD UPON, ready to move forward together. Third, thousands of positive deviants are figuring out many of the parts of this, within their own specific cultures. We need to identify them, study them, and showcase them, so that others at the local, national, and regional levels can learn from and with them about their technical and social innovations. Fourth, we need to gather with each other and learn from each other, taking advantage of the many platforms for learning with and from each other that already exist, are gaining broad support, and are evolving and maturing. Fifth, we are now clear that through collaboration, we can achieve far more together than we can alone or through simple cooperation—more, in the same places, at the same time, regionally, nationally, and locally. Sixth, we have already begun to experience the very tangible impacts and greater resilience of co-hosting this collaboration together. So, now we are focusing simultaneously on regional, national, and local-level efforts, highlighting what we are learning about (1) our best efforts everywhere, (2) local positive deviants, (3) how to share insights across professional, industrial, geographic, and linguistic cultures, and (4) coming across with a simple and effective measurement system that allows us to focus on the impacts we want to generate and to track the collective effort at the same time we capture feedback to improve local and national initiatives. We have to, because we agree that it is important to achieve our social impacts, and to achieve them we see clearly that we must collaborate. We thank our colleagues at the European Climate Foundation (ECF), the BUILD UPON team, the co-hosts (link to previous blog in series on “co-hosting collaboration), the Madrid participants, the Institute for Strategic Clarity, and Vibrancy—all co-investors in this process together. In this 3rd of a series of 4 blogposts, we share what we are learning, as co-investors with BUILD UPON and the European Climate Foundation, about: (1) co-hosting collaboration; (2) realizing the deeper shared purpose; (3) measuring impact resilience; and (4) scaling impact. In many organizations, we measure because we are expected to measure, and we manage to the measures. The reason to measure and manage to the measures is given, by someone else. While the apparent simplicity of some measures might make them seem straightforward, they rarely are. For example, profits are revenues minus costs. For more profits, increase the revenues and decrease the costs. Simple, until the methods for increasing revenues increase costs faster, or the ways to decrease costs also decrease revenues, such as lower product or service quality. Or, to decrease the environmental impact of buildings, increase the number of renovated buildings, by increasing demand. You can do this by making people do it through regulations or by making it cheaper to do through subsidies. Simple, until the regulations make the technologies much more expensive or the subsidies outpace the supply. From an impact resilience perspective, we are looking for a more systemic understanding that integrates the multiple stakeholder perspectives on the impacts we are trying to achieve. With this integrated perspective, we can measure a systemic set of indicators that let us know how resilient we are in achieving our systemic set of impacts. To compensate for a lack of clarity of what we are trying to achieve amongst many stakeholder perspectives, we tend to believe that lots of measurement — lots of variable and lots of data — shows that we are very serious. We measure dozens to hundreds of key performance indicators (KPIs). To measure lots of variables, we tend to focus on easier to measure variables that are often means to an unspecified, higher-order purpose of the whole effort. We also leave measures of creativity and collaboration out of the equation, since they seem hard to measure, yet they are critical to the generative processes of creative collaboration. In the development of a scorecard for impact resilience, we look for a small set of measures that cover the higher-order impacts we want, the strategic areas we want to impact, and the processes that leverage our impact. While this small set of 10-15 measures can be supported by more detailed reports, specifying how they were achieved in more detail, we want to focus on the most strategic variables and our narrative—our theory of impact resilience—of how they all fit together. We want to use proxies that directly let us know how we are doing on the strategic variables. In the impact resilience scorecard, we attempt to do this. What we might do. To assess social, strategic, and process impacts across Europe, at the local, national, and regional levels simultaneously, we can develop a coherent set of a few measures that we can track to identify the common impacts and the specific innovations happening at each level. As we saw in an earlier blog in this series [link to blogpost “Realizing the Deeper Shared Purpose,”] we developed a draft “Common Vision” with a wide-ranging group of stakeholders across the energy efficiency, renewable energies, and building renovation communities. The following systems map captures the key elements of that Common Vision, showing how they all fit together (see the blogpost “Realizing the Deeper Shared Purpose” for a description of the systems map). As these collaborative-process efforts drive the strategic areas and subsequently the social impacts, the growing demand and supply for renovation drives a scaling factor that accelerates social and technical innovation. Having the clarity of the purpose we share and the dynamics of our system, we can focus the measurement scorecard on the critical variables that express the impacts we want to achieve together. To measure these social, strategic, and process impacts, we can simplify the work of BUILD UPON into 12 high-level metrics, which can then be supported with detailed metrics, showing systemically how they influence each of the high-level impacts. The metrics in an Impact Resilience Scorecard, exemplified in the figure above, highlight the social, strategic, and process impacts of a system that leads to greater resilience of the renovation system, at the local, member state, and European levels. Proxies for each impact measure are provided, which could also include current levels and agreed-upon target levels. After being exposed to this systemic and high-impact approach to measuring individual and collective success, the participants were asked to reflect on, “What would I need to know and share to fully step up and invest in the future we started to see together?” The participants shared the need for more knowledge on positively deviating behavior of other members, to be able to increase their own success. Furthermore, they highlighted the importance of continuing the conversation on a strategic level to support their ability to increase their impact and strengthen their resilience. See movie footage here of what they shared. What could happen. Much greater collaboration is possible, and it means that the many stakeholders involved in energy efficiency, renewable energies, and building renovation have to see the value in it. It has to become more than a nice exercise; it has to be interwoven into their ability to succeed individually and together. Collaborative impact is a simple choice, not a complicated option. A choice we can make every day. Like the groups we are finding around the world, members of BUILD UPON too can choose their experience and the outcomes they achieve. We thank our colleagues at the European Climate Foundation (ECF), the BUILD UPON team, the World Green Building Council, the co-hosts, the Madrid and Brussels participants, the Institute for Strategic Clarity, and Vibrancy—all co-investors in this process together. In this 2nd of a series of 4 blogposts, we share what we are learning, as co-investors with BUILD UPON and the European Climate Foundation, about: (1) co-hosting collaboration; (2) realizing the deeper shared purpose; (3) measuring impact resilience; and (4) scaling impact. To collaborate at this level, the BUILD UPON leadership believed it was critical to invite in a broad set of stakeholders, representing many different facets of the built environment and energy systems across Europe to see what the deeper shared purpose that could unite them might be. To facilitate this broad set of stakeholders, 32 leaders from the BUILD UPON and European Climate Foundation communities went through a advanced leadership capacity-building process together 3 weeks before, in Cambridge UK (link to previous blogpost in this series), to build capacity in how to co-host collaboration. What we did. At the BUILD UPON Madrid Leaders Summit, the co-hosts, two to a table, co-hosted ten other leaders representing other stakeholder perspectives throughout the energy efficiency, renewable energy, and building renovation communities across Europe. The co-hosted conversation inquired into the deeper purpose they all shared that brought them together. This far-ranging conversation covered very different topics at each table, depending on the stakeholder perspectives at that table, and they all converged on the importance of a set of four social impacts they all shared (increasing economic development, decreasing the environmental and health impacts of energy and buildings, and increasing affordable housing), supported by a coherent set of strategic impacts in regulations, financial risk sharing, social capital, and technical innovation. What came out of that process. Out of that process in Madrid, we synthesized the input from the 16 tables, including 150 stakeholder perspectives, into one “Common Vision” statement. The following systems map captures the core elements of this synthesized statement and how the elements fit together as a coherent set. How to read the systems map. In essence, the variables in green represent the social impacts that the group of many stakeholders identified in their deeper shared purpose, through the co-hosted session in Madrid. To be determined a success, the work must have an economic impact of generating more projects for companies and more jobs for individuals. It also must lead to an environmental impact of dramatically lowering greenhouse gas emissions. And it must have a positive impact on the health of its citizens and make housing more affordable. All four social impacts must be achieved. The variables in black represent the strategic impacts of the BUILD UPON work, all of which are needed together to renovate the building stock, in a way that generates the four required social impacts. The economic impact depends on the activity of renovating buildings. The environmental and health impacts depend on the resulting stock of renovated buildings. As described by the groups in Madrid, the activity of renovating buildings depends on supply and demand. Increasing supply strategically is primarily a function of lowering financial risk and increasing demand, the combination of which will lead to more companies providing renovation services and building sufficient capacity to meet any demand. Decreasing financial risk depends on sharing risk across multiple stakeholders, not just the investors, and on stabilizing demand by generating regulations that require renovation. Both of these factors are strengthened by the generation of policies and regulations requiring renovation. Increasing demand strategically requires the people knowing that they have to renovate because of regulations requiring renovation, that people see that everyone else they know is renovating–it becomes a social norm–, it make more sense to renovate because technical innovation provides cheaper, smarter solutions, and because renovation is a good thing to do, since evidence shows the proven social benefits of renovation. The variables in blue represent the process impacts that leverage each local renovation effort across member states and across Europe by working on (1) cross-sector, cross-member state collaboration, (2) showcasing the thousands of cases of positive deviants in technical and social innovations they find locally, (3) the creation of a clear, generalizable and at the same time specific message of how renovation is becoming a social norm, and (4) the creation of a social-engagement movement that supports the deeper shared purpose. “While applying the ‘O Process’ methodology, we enhanced our collective capacity to read and approach systems, as such, to support the systemic change projects that we deem essential to ignite a renovation revolution. Energy efficiency, though, is a means to an end. Better, to a set of interconnected ends. Systemic change affects where a system goes, what it does, who influence it and, crucially, how it works. With respect to this, we learned to outline shared purposes (Why), to identify together possibilities and probabilities (at an early stage, What), and to upgrade effectiveness through collaboration (How). The corresponding distinctions and relationships between social, strategic and process goals and metrics become clearer, thanks to the overall process we’ve been experiencing, led by the ISC team. What we came to call the “Common Vision,” while still in process, now integrates in one shared, deeper purpose, many different stakeholders, who have come together to achieve a coherent set of social impacts, through a process in the built environment, that meets many strategic impacts. This depth and breadth was achieved in one morning, because of the skill and process of co-hosting collaboration. We tend to believe that if we are in the same space or work together, we are collaborating–the assumption that networks equal collaboration is not true.